The first place to look for assistance to pay for your HIV-related health care and medicine is health insurance. Previously very few people had health insurance that covered both their HIV treatment and their HIV medications. Insurance companies excluded certain disorders and put limits on other expensive disorders – including HIV. The Affordable Care Act (ACA-or-Obamacare) has made available insurance coverage for millions of uninsured Americans. Before the ACA was signed into law, insurance companies could deny coverage to someone on the basis of pre-existing conditions like HIV. After being challenged, the Supreme Court’s decision to uphold the “Individual Mandate” portion of the ACA was a victory for people living with HIV who had previously been shut out of the health insurance market. These changes to the health care system and insurance can be complicated and vary state-by-state. 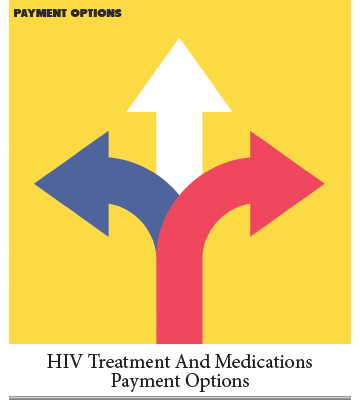 Make sure before choosing a plan that your specific HIV meds are covered by your plan. If you do not have prescription coverage and your income is relatively low, you may be able to get help paying for your medications through ADAP - the "AIDS Drug Assistance Program." ADAP is a federal program, established as part of the Ryan White CARE Act. But it is administered by the states, and funded by both the federal government and the states. The drugs the program covers vary WIDELY from state-to-state, and so does the amount of money you can earn and still qualify for help! ADAP continues to be financially strained and always at the mercy of both state and federal budgets. Although waiting lists decreased in most states from an all-time high in 2011 some wait lists may exist in certain states. Look at the ADAP list that follows for your state to check on the waiting lists and qualifiers. If you are unable to work because of HIV or HIV-related problems, you may be able to collect from your private disability insurance or qualify for Supplemental Security Income (SSI) from Social Security. Years ago, people with HIV were automatically assumed to be "disabled." Now, of course, they are not. But since issues like fatigue, depression and even diarrhea are very difficult to disprove, you can possibly be "disabled" by HIV if you need to be. Don't jump at it if you have other options! Disability becomes a trap that many people have a hard time getting out of! When you go on disability, you may get cash income from Social Security, depending on how much other income you receive and what you own. But it's not much! To find out how much you may receive, contact your local Social Security office. Qualifying for SSI usually also qualifies you for food stamps and - more importantly - Medicaid (which is called Medi-Cal in California and has different names in some other states as well.) Medicaid is a lifeline to HIV care for approximately 50% of people living with HIV (and 90% of HIV-positive children.) Medicaid pays for inpatient and outpatient treatment, home health care, prescription drugs and medical supplies. If you're relying on Medicaid or plan to, ask your local ASO for help from a case manager who has experience dealing with your state's Medicaid program. It's complicated and getting more so! The Affordable Care Act (ACA) also affects Medicaid. The ACA cleared the way for all states to expand their Medicaid programs although some states aren’t willing to do so, which could shut out low-income individuals to access to health care coverage. The good news is that many states are expanding their Medicaid programs. If you've been getting Social Security disability benefits for 24 months (or, if you are over 65) you may be eligible for Medicare, which is an entirely federal program. Part A (which is free-of-charge for most people) pays hospitals for treating you. Part B pays doctors to see you. Part B currently costs $134.00 a month for most people but can be as high as $428.60 for those with higher incomes. There are also Prescription Drug Plans through Medicare (Parts "C" and "D") where fees also vary according to income. For drug formularies and more information, it's online at: www.medicare.gov. If you are a veteran of active duty in the U.S. Armed Services, you may be eligible for health care from the VA. Full information is available at: www.va.gov. All of the pharmaceutical companies that manufacture HIV medications have Patient Assistance Programs that provide free or low-cost drugs to people who could not otherwise afford to pay for them. Each program has specific criteria about who is eligible and what kind of help they will receive. Details differ greatly between programs. A list of phone numbers for the most commonly prescribed HIV medications is on the internet at: www.needymeds.com. You can also access HIV Positive! magazine's Treatment Guide at: www.hivpositivemagazine.com/meds.html. Each drug listed has a "Financial Assistance" link if there is assistance available. The drug companies’ patient assistance programs have become extremely important in this era of budget cutting and tight money. The drug companies have picked up the slack for thousands of people with HIV who cannot get help from ADAP because of under funding. The Partnership for Prescription Assistance offers a single point of contact for 475 public and private patient assistance programs, including almost 200 programs offered by pharmaceutical companies. You can contact them at 1-888-477-2669 or online at: www.pparx.org. The services of the Partnership for Prescription Assistance are free. HarborPath can help uninsured people living with HIV get access to medications at no cost through a mail-order pharmacy. Go to www.harborpath.org. In almost every large community in the United States, there are additional resources available to you, including free or sliding-scale clinics, organizations that offer free or sliding-scale complimentary treatments like acupuncture, yoga, massage, and more. Your local ASO is usually your best source of information on local and community-based resources like these.